The Difference Incubator (TDi) are at the forefront in fostering and mentoring thriving social enterprises in Australia. Now, in partnership with The Australian Department of Foreign Affairs and Trade, they taking this expertise global and running a pilot program in the South Pacific to trial a new approach to aid funding in the region, which focuses on developing investable local enterprises and moving these regions away from grant reliance. 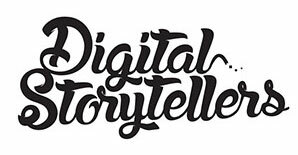 TDi asked Digital Storytellers to join them on one of their trips into the region to capture the stories of local entrepreneurs on the ground and the experiences they are having working with TDi to identify opportunities for development and growth in their businesses. Julia and Ed (from Digital Storytellers) spent several days on the ground in Vanuatu witnessing TDi’s workshops and engagements, meeting local producers and learning about the challenges being faced locally. It was an incredible experience hearing the visions and long-term dreams of the Ni-Vanuatu from coffee farmers to soap producers, each forging ahead with their business projects to strengthen their communities and futures. It was a real privilege to meet these peoples and see their communities still very much in recovery from the devastating Cyclone Pam that hit the country in early 2015. The team were also lucky enough to witness an active volcano on the island of Tanna!